Hey people, Thought id join up and say hello after buying a polo86c breadvan unseen on fleabay for £600! Ive owned vw's for last 10 plus years polos,golf,t4,T5 but this is my first older vw. Drove car back home(30 miles) and already know the petrol tank needs replacing! Just picked up a mk2 polo breadvan and im struggling to locate the fues for daio lights etc(Haynes manual on its way),can someone help please. Hi there, thought i would introduce myself! I'm Dave from Coventry, own a 2006 red polo 1.9TDi sport, seen you you guys on this site for a couple of years, but never signed up (Very Naughty of me!) So without further a do, here she is! Hi All, Newbie here, picking up a second car soon and looking to learn more about it ('09 MK7 Polo Match) and how it differs from the S and SE models. Seems this is the right place? Tell me, is this the old Porka site that was run by Robin and Cam many years ago? I'm 33 now and used the Porka site a lot when I first started driving, my first car was a MK3. Not a clue what my username would have been some 15 years ago. Thanks, Brydo. Hi, im looking to get a polo GTI in the next 3/4 months but need to work out what options there were that i would like to get if possible. The ones i've seen i'd quite like are: Arm rest Parking camera Folding mirrors Sat nav Leather seats Were these available as part of a pack? like convenience or comfort etc? Any other things worth getting? Is the sport pack worth it? Does it just firm up the suspension and increase the throttle response. thanks! Hello Everyone! I once had the VW 2001 Polo 1.4 16V petrol auto. It was underpowered. Recently I bought myself a 2008 low mileage 1.4 tdi BlueMotion tech 1. I absolutely love this car. It’s both stock cute & nippy to drive. Plans:- 1. Retrofit cruise control 2. Eibach proline springs to replace stock (1 corner is damaged) 3. Remote key fob as there’s none for locking, bought a kit from eBay I hope it works 4. Parking distance control front & rear, it sits behind the bumper safely tucked. 5. Bilt Hamber DC & UC for the the chassis to stop corrosion. Independant tests show it comes out amongst the top. 6. New OEM rear lights going in to freshen the look 7. Respray front & side rear, fix tiny dent 8. Figuring out if it has a MFA on the centre console (see my other topic) 9. Need to put in seat covers as I find it stains easy. I will stain proof with scotchguard or gyeon.l 10. Rubber mats in boot & inside 11. Tinted rear windows The frugality is amazing! It does 50-55mpg in the city, 66+ mpg on motorways at 70-85mph. So I could even improve it. Hi Guys Hope iv got this right forums are a new thing for me, Names Thomas come from an island on the west of Scotland . Finally decided to dab in the VAG scene after years of Ford and Mitsubishi. Managed to bag myself a 2005 Polo Gt with 80k standard. Joined the forum to get ideas and read about the best products etc for the polo especially looking at lowering on Porsche twists . Hi everyone, my name is Jack shepherd, im 20 and come from Essex. 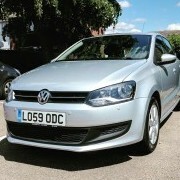 My car is a 2010 vw Polo 1.4 SE DSG. Only passed my test last month so this is my first car. My hobby is photography and I work as a bus cleaner for first Essex buses. Well let's start this; Real name: Juliet Age: 21 (I'm a baby) Location: West Midlands Polo owner, if so which? Or looking to get? : Yep, 2000 6n2 Previous car history: My dad bought me my first project beetle when I was about 10/11 but that got scrapped, I've now got another beetle and my polo runaround Hobbies/interests: Cars, Games and music... Oh and Netflix = life Occupation: Freezer Monkey (professional) How did you hear about us? : My older brother Everyone meet Viktor, I saved him from a barn.